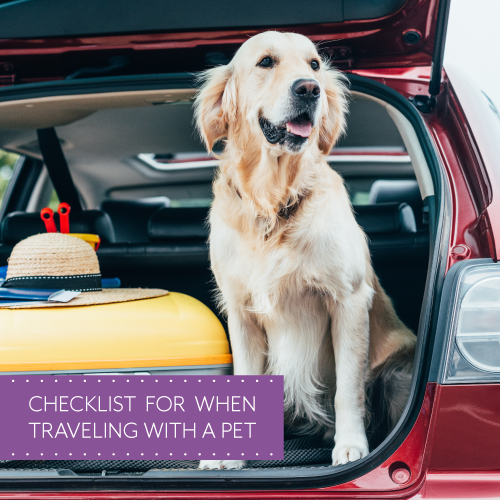 These may seem like obvious items on the checklist but making sure your pet has sufficient food and water while traveling by plane, train or car is important for your pet’s well-being. Just like humans, sometimes pets require medication too! Make sure to talk to your veterinarian before you leave, to ensure you have the appropriate amount of medication for your pet on your trip. 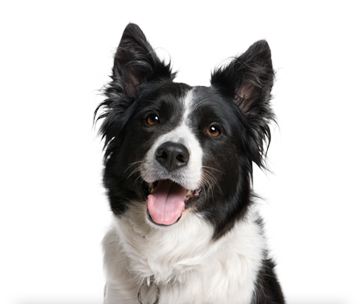 Having your pet’s most up-to-date vaccines and medical records could come in handy in the event that you need to take your pet to the Veterinarian while on your vacation. Having a typed and laminated card or sheet of your pet’s contact info is a handy item to have. You can even make a few copies to have in different places like your wallet, taped to the outside of your pet’s crate or inside a pet first aid kit. Not only should your pet be microchipped, but several forms of identification are also a good idea. ID tags with your information and even your Vet’s information will make it much easier to reunite you with your pet in the event that they go missing while you’re on vacation. You can create your own, but a preassembled dog or cat first aid kit can easily be purchased. You may want to cater the first aid kit to your pet’s specific needs or conditions, in which case, you can find a supplies list here. Crates and pet carriers are a great way to keep your dog or cat safe while traveling. Crates are required when traveling by plane, but they can be a good idea for long car rides too. Make sure the crate or pet carrier is large enough for your cat or dog to stand, turn around and lie down. Comfort is key when your pet is in their carrier – proper airflow and a soft mat are a good start! Don’t forget to bring items, like toys or blankets, that they can play with and/or that remind them of home. This can be comforting and can help pass the time during long car rides or flights. If you decide to vacation without your pet, Best Friends will be the perfect home away from home for your fur-baby. Playtime, Suite Treats and sleepovers are exactly the kind of vacation your cat or dog wants! Book for Spring Break today, before space runs out!